I passed with a 90%! I was hoping to get in the 90s and I barely achieved that goal, but I got it! The test only took me 30 minutes (I spent about another 15 minutes reviewing my answers). I had two ADF questions, got one right and another wrong. The hard stuff I was studying this morning, of course, wasn’t on my test at all. I also got an extra question the FAA was testing out, it was definitely something I never studied. Thankfully it didn’t count! I’m so happy to have this requirement done now. Time to cross out another thing on my Goals for 2013! I’m hoping next week to knock out a lot of hours, maybe even some night time flying. Flying to a wedding down south tomorrow, I’m looking forward to take the weekend not to study at all and have some fun. My written is scheduled for tomorrow at 2pm! I’m very nervous…not for fear of not passing, I’ve never not passed a practice test (knock on wood!) but more because I want to get a good score! Okay, maybe there is a little fear I’ll get ALL the hard questions and not pass. The best news about taking the written, I found a place within WALKING distance. That’s a complete shock. I thought I’d have to go out to the airport, and not only to the airport but to the flight school with whom I used to take lessons. Those two things would have added more stress to me than just taking the test. Cross your fingers please until tomorrow for me! I’ll keep you updated! I am EXHAUSTED after my first solo cross-country! But I did it! 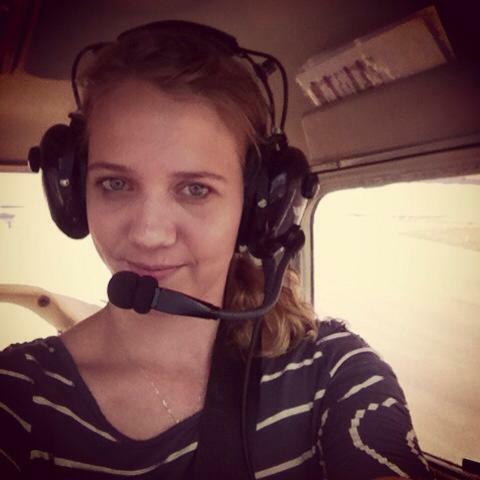 It’s funny how my first solo, I wasn’t nervous at all, but for this I was a bundle of nerves. They were just replacing the beacon light when I showed up to the airport, and I preflighted in the hanger and I went over my plan with my CFI before leaving. I asked him some last minute instructions and he gave me some last minute pointers. Also reminded me to say student pilot! I get it all started and start taxiing to the runway, requesting a right downwind departure. I forgot student pilot again! Got ready to depart runway 19, was cleared right away and I think I remembered to say student pilot to Tower. She cleared me for the right downwind, I even repeated that I was clear for a right downwind departure (I realize I should have down left when up in the air). I was on the downwind and the controller calls me up saying she doesn’t recall clearing me for a right downwind….what!? (It’s the one I don’t like sooooo…there’s that) Whatever, I was cleared to go to the Northport stacks and I stopped talking to her. I called Approach and was given another frequency right away. Call them up, got everything right, whooo! I turned toward KPOU because I don’t do a complete direct route due to the Bravo above the airport. 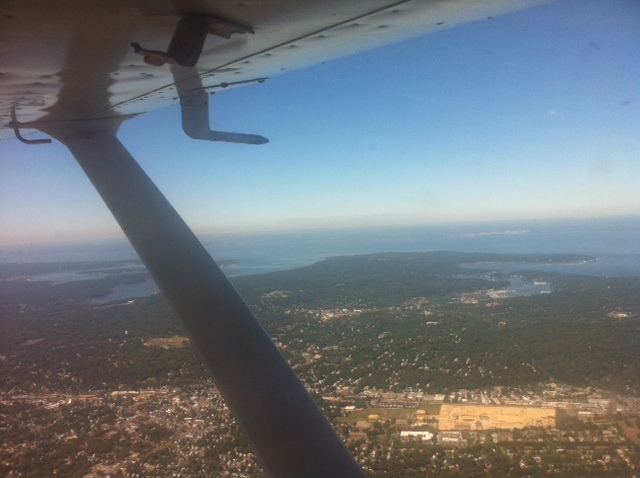 I cross the Long Island Sound and go between two cities in Connecticut, the easy navigation is done. The VOR was actually taken out of the plane for some maintenance, so it was completely up to dead reckoning and pilotage…well, and the GPS was there as back up which I had programmed just to be active if something went wrong. I switched frequencies a few times, and only had a bit of traffic on my way there. 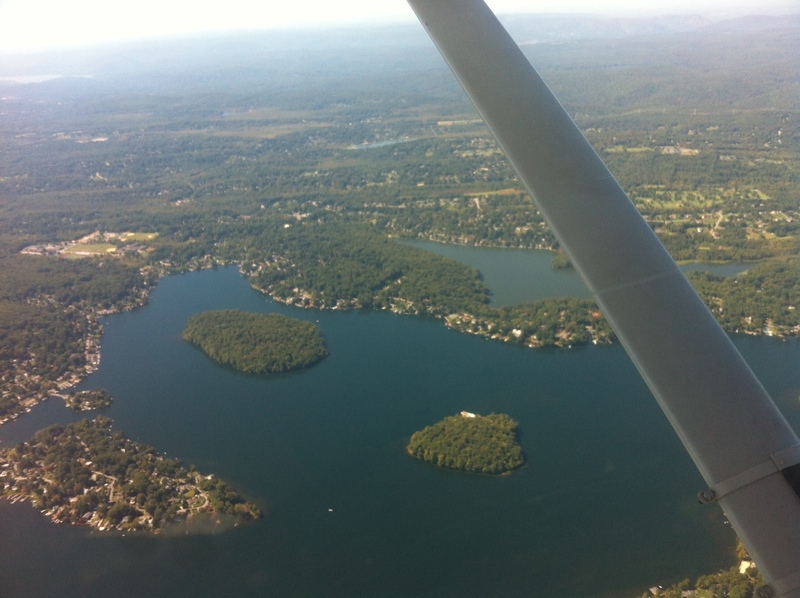 I picked a lake for a check point, then I realized there are a crapton of lakes in New York! I was able to see the Hudson River and followed that more, I knew the airport was near the river and thought that was a bit better to head that way. I got the airport in sight! It was an amazing feeling and relief! I cancelled Flight Following and switched to Tower. My instructions were, enter mid-field left downwind for runway 24. I’m getting to the airport and realize I made a simple mistake of reading the airport map backwards, I thought I’d be turning to the left but actually was going to turn to the right. Thank goodness for those big numbers on the runways, I saw runway 33 and realized my mistake. 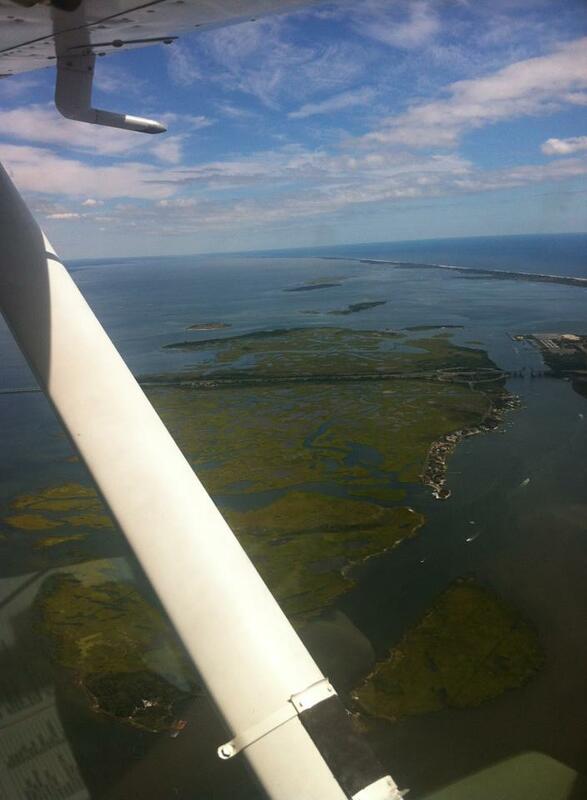 I quickly fixed it, and entering the downwind I got cleared to land. Due to that mistake I was still going kind of fast and had no flaps down. I extended a bit in the downwind to slow down, and slowed up during base to final. I had to get all the flaps in during final. It worked, I floated a bit longer than I wanted but pretty good landing considering I felt a bit rushed at the start of it. I pulled up to the Terminal and shut down. Oh my god! I did it! The hard part is over! I had to take a minute to relax. I also wasn’t sure I parked in an okay spot, but there weren’t lots of planes and I was leaving soon. I walked into one of the flight schools and had to get someone to sign my logbook (my instructor’s request), the girl at the desk said she could do it. She wasn’t too nice, but whatever. I went back outside and texted my instructor I was at the airport and he asked if I was having fun yet, I said I was too nervous to have fun, but maybe getting back I’d have fun. So empty at the airport, I’m not used to it! I call up Ground to taxi back to the runway and then call Tower, a nice controller with a southern accent which I’ve never heard in this area so that was fun for me. He asked which way I was departing since I wasn’t sure if I needed to request it with Ground, but it was no big deal. It was nice. I get on with Approach on the way back, I remember to say student pilot finally. He was much meaner to me, I don’t think I’ll be doing that again. Maybe my radio was acting weird or it was the controllers because it was only on some Approach channels the quality wasn’t so good. I had to reconfirm where I was going, he asked something else but I didn’t understand and since I didn’t add anything else to my destination I thought it was okay. 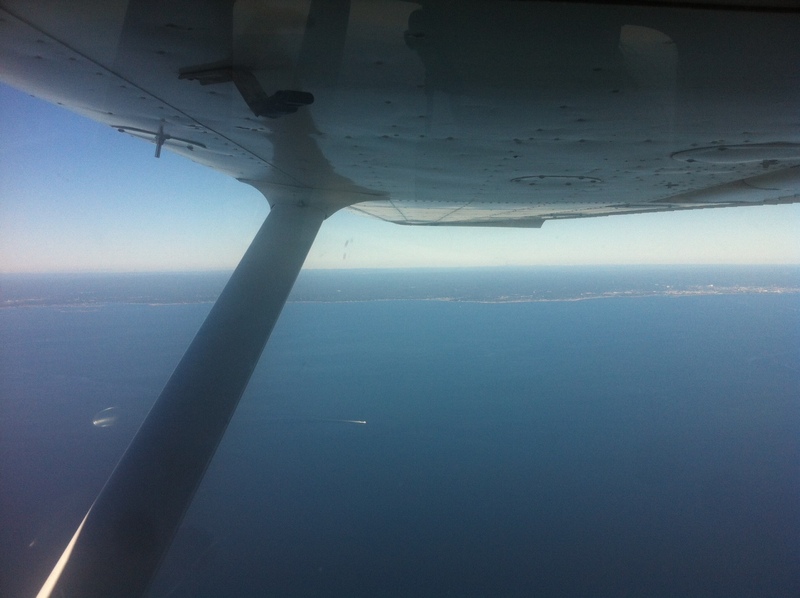 Since the day was so clear, I could see the Long Island Sound about 30 miles away so I wasn’t really going to get lost. The wind did pick up and I started to drift more to the west and I got closer to the Westchester Airport than originally planned. There was a ton of traffic there and when I got closer to the shore and could see the stacks I realized that and corrected my course. A Learjet passed 1500ft below me which was pretty cool. The controller asked me another question, and I finally understood what he was asking me. What type of plane I was in. I responded. 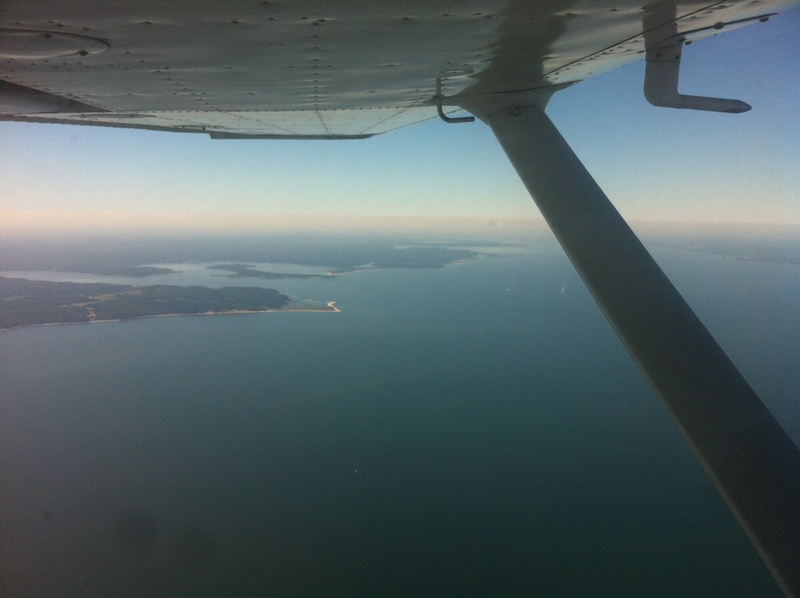 I start crossing the Long Island Sound and about to see the airport and dump Flight Following when he has me switch controllers. Such bad luck, I switch and stay on the frequency a bit longer and then say I have the airport in sight right when I’m by the stacks, I squawk VFR and change to Tower. Straight in to 19, easy enough. There is some traffic off my right and left wing. The one on my left is close but climbing and not going to the airport, but I definitely didn’t like being that close to him. The other was following me in. A little over the mall (5 miles out) I get asked to do a 270 (not a 360) and rejoin final. I’m not sure why he said 270, I wasn’t exactly lined up yet but I just did whatever it took to go in a circle and rejoin final. My landing wasn’t so great. I pulled up too much and lifted up higher so when I sunk back down I was a little flat so the landing was a bit hard. I was just kind of happy to have it over with though. I taxi back and call for fuel. Sadly, here’s the thing I’m almost most proud of the day. I pushed the plane back all by myself! Those push ups are working! My favorite fueler, Winston, came over and we chatted about my solo cross-country. He told me about what it was like flying in the Caribbean when he was learning and he only really had the ADF and some VORs. My CFI was just coming in with the Cougar, another instructor from the school was already in his car ready to give me a ride to the train station so I could catch the 2:39pm train (it was 2:15pm). My instructor came over and I gave him a quick rundown of what happened. He’s on vacation next week so I won’t see him for a bit. I felt a bit empty without de-briefing him more, but I guess when I have my license I won’t do that. I’m glad to have this under my belt now! I can’t imagine how exhausted I’ll be after my long solo cross-country. I think it will get easier as time goes by and I won’t feel so overwhelmed, but it’ll take lots of practice first. If you remember from early August, I won a scholarship with Girls With Wings, written about here. 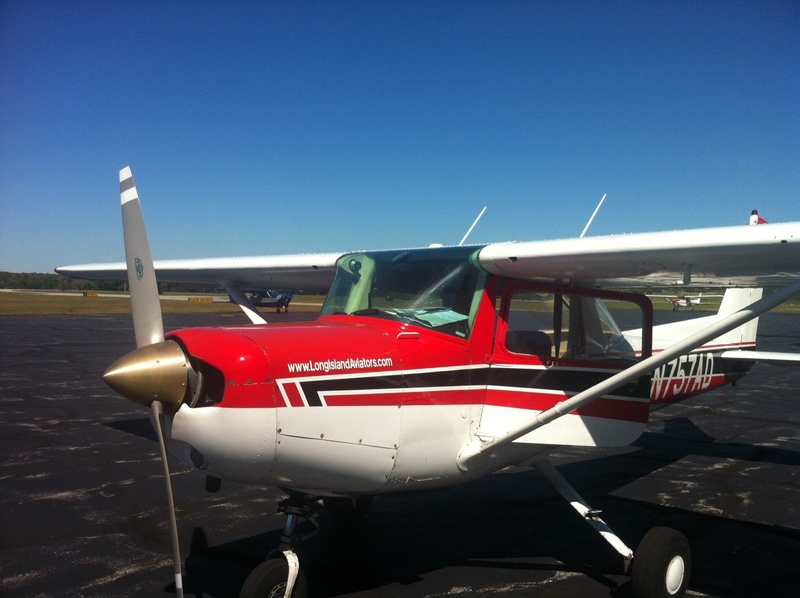 It was amazing and gave me an amazing confident boost, I think partly the reason I soloed so quickly afterwards. Well, as part of winning, I have to write two different essays for their blog updating them on my experience thus far. I know I describe in detail what has been happening, so if you want it in an abbreviated form check out my post for their blog: here. Today, I’m still grounded due to them fixing the attitude indicator (I posted my last blog a bit late) so this is my second lesson postponed. I’m hoping tomorrow looks good for soloing to the north! I’m focusing on my written again today. I plan to take 3-4 practice tests and get my scores up. I’ve been taking a bunch but getting in the mid-80s each time. I’ll be studying between my tests my weak points and see what the outcome is at the end of the day. It was a perfect day to study because I have the entire day off and Jake would most likely be gone on a trip. Nope, he had to ruin it and is on his way home from a trip. Now, I love having him home since he’s not home every night. But when I don’t plan around him being home, it’s a bit frustrating to have it change. I can’t wait for him to be off reserve so we know his schedule better. Being on reserve means you’re low seniority and when you’re on call (Jake’s this month is 3am-6pm) they are able to call you anytime in that period and you have to be at the airport in 2 hours. They are technically hiring pilots until the end of the year, but not always able to fill the classes. Pilot shortage here? Maybe? Hopefully? Last lesson didn’t start out too great. I missed my train by seconds. I was almost down the stairs and the doors closed. It was embarrassing to admit to my instructor. I do remember once being dropped off at a train off the Babylon line so I did a quick Google and found a station only a 10 minute drive from the airport. I asked if that could work and he said yes so I was only 30 minutes late versus an hour late. I got a ride from one of his friends who was also heading to the airport. Another retired firefighter, always fun to meet other pilots. 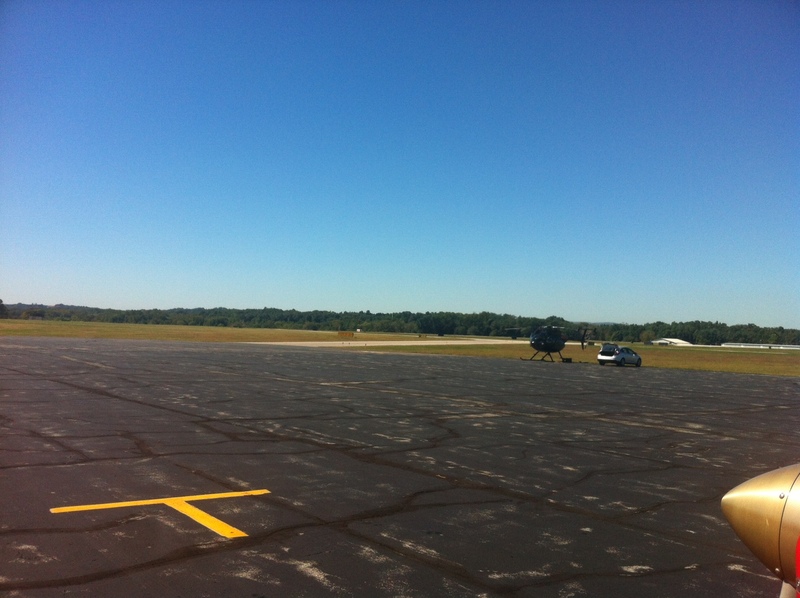 They were fixing something on the Cougar, so I went to preflight while my instructor finished up. I was checking the logbook as my instructor was walking over and I saw someone earlier in the day wrote that the attitude indicator was broken. My instructor had just found out as well. So soloing out to the other practice area wasn’t really going to be an option. He had a suction cup thing to cover it while we went flying together. We went to the north and did some stalls because I asked for it. I got a huge lecture from Jake last night about doing stalls and practicing them by myself more. I’m a little nervous with them too, but I know I shouldn’t be. I can do them, but nervous about a wing dropping. We did three power off stalls. On my last one, I made the wing drop. I wanted to see what it was like and it wasn’t as abrupt as I thought it would be. I told my CFI that and he said it could be abrupt sometimes, it just depends on the situation. We moved onto power on stalls which I haven’t done in a long time. Our first one was into the wind, it was very hard to stall. It just wouldn’t stall for awhile. The attitude was just so crazy. We tried going with a tailwind for the next one. It was a bit better. I made the wing drop on this one too. That was more on accident. I knew it was going to happen because I was having trouble coordinating it. I think also, I wasn’t trying as hard as I should have because I wanted to feel what it was like. I’m glad to have experienced it and it makes it seem less scary to have felt it instead of it just being a knowledge thing. Next up was doing some steep turns, without the attitude indicator. It was relying on sight picture to get into and keep that 45 degree bank. Left side was first, a bit of a drop in altitude, but in standards. Once I got the sight picture it stayed good. Moved onto the right, my best steep turn ever. The altitude never moved. It stayed at exactly 2,500 ft. I even got applause from my instructor. He made me do the left again because my right was so good. Left improved, it was probably within 20-50 feet max. Right was still better. We headed back to the airport. Straight into Runway 19. My instructor said he was going to hop out and I could do a couple touch and go’s just to get more solo time. I headed back out after dropping him off at the FBO. I remembered to request touch and go’s which is always a success for me. I had to wait awhile before cleared to take off. I was cleared, but the mic was blocked so the controller had to cancel it because of close traffic. They switched controllers and I was starting to think I was forgotten about but I was cleared for take off. Since I was cleared, I decided to do a short field take off. 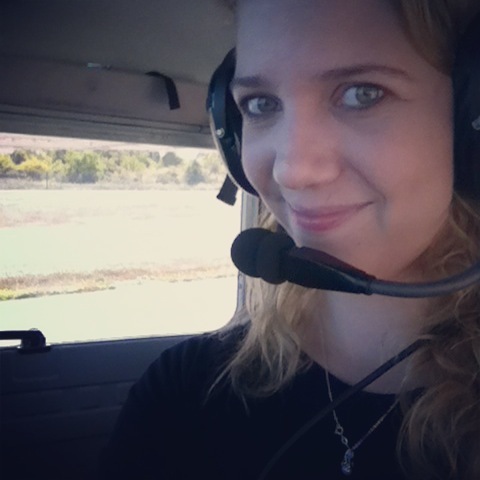 I’m not as comfortable with those as short field and my CFI wanted me to do one or the other. I settled back down at first, but then let myself lift off enough and built up speed. I was a little off the center line as well. They still need practice. I did two regular landings though. They were both pretty good. I stopped myself drifting off the center line on the first one and touched down pretty smooth. The second, I was pushed by a gust close to the runway, but during the actual touch down it was straight down the runway. I’ve been touching down so slow and soft that I’ve had to add power to get off the runway. The controller asked me to exit the runway at the intersection if able and said something after that which I missed. I let him know I was able to get off at the intersection. I wasn’t sure if he asked me to switch to ground or just cleared me to taxi back via Bravo. I contacted ground just in case. It was 3:02pm when I landed and someone else had the plane at 3:00pm. So I definitely went too fast when taxing back. I got called out on it by both instructors, the one waiting for the plane told me he’s not important enough to rush for him. It was a good day overall to make up for missing the train. It was also interesting to see how I use the attitude indicator and what it’s like flying without it. We had to cover it up while flying because he said it could really screw me up. The suction cup fell off during flight and just those few seconds it being visible was enough to know it’s true! We talked about what was next on the ride to the train station. Tomorrow if the weather is good I’ll do that solo out to the north practice area. And then if that works out and Thursday is good weather it will be my first solo cross country! Fingers crossed, but tomorrow is already looking a bit iffy. My lesson was cancelled today because we’re focusing on solo time to get me ready to do my first short solo cross country. The weather wasn’t ideal, so taking the time off to get my life back in order after the chaos of work lately. I’m also taking a bunch of practice tests as well to prepare for the written. While, I’m not completely that way. I know I partly am, especially with math. I hate math and always was bad at it. So long ago, I gave up even trying to multiply without a calculator because I resigned to the fact I’ll never be good at it. Obviously, with flying, I’m trying again to get better at mental math and learning tricks and just practicing it more. The one wrong thing for me in the article is when it talks about how girls give up easy if something is too hard. Now, I’m a pretty stubborn person. I like a challenge. So I don’t believe it’s true. What I do believe there is a point of “hard” that I will not pass. If something is challenging, but I believe I can get it with work, I’ll work at it. If I believe I won’t get it with work, I think I give up. I’m not sure how it is with others, but I’d love more research on if there is that line for everyone, male or female. Anyway, I thought it was an interesting read if you wanted to check it out. And even though it doesn’t specifically mention aviation, it is definitely applicable. What did you think about the article? Today was building up more solo time. My lesson Monday was cancelled due to weather and I was unable to fly until today due to work, it’s been about a week. Way too long now that I’m use to not being cancelled all the time and my instructor is available! Yesterday though, I got an unexpected surprise in the mail. Jake brought me a book when we met on my dinner break. It was the American Flyers Private Pilot Learning Guide and Textbook, he thought I ordered it but nope. Just got it for free because of my medical. He flipped through the book and said he thought it was pretty good, and when I started reading it on my way home that nigh, I agree! It’s definitely worth looking into how to get it sent to you, especially if it is free for everyone! Back to today, we were going to go up together to the south practice area and then I go by myself. We ran into problems during the run up though. First off, a very rude Seneca did not angle himself and we had no choice but to be right behind his engine run up so it was very bumpy. During the left mag check it ran really rough, I leaned it out, waited, enriched, and tried again. Still rough, I called ground saying we were going back. The controller asked if we needed assistance and I responded no (I realize I have to get better at affirmative/negative). My instructor opened the plane up and replaced the lower spark plugs on the left magneto. It was fun to get to see that and see how a bad one looked. We jumped back in and tested the magnetos again and they were fine. 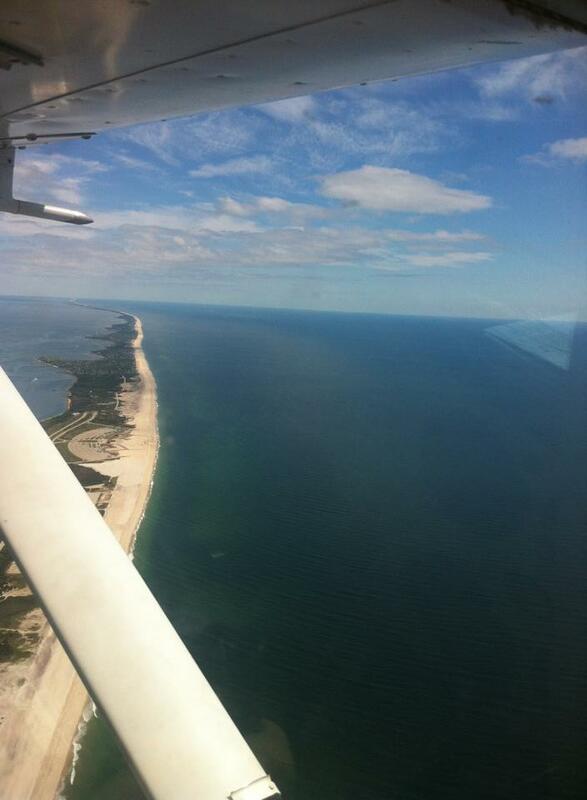 Requested a right downwind departure and off we went to the south. 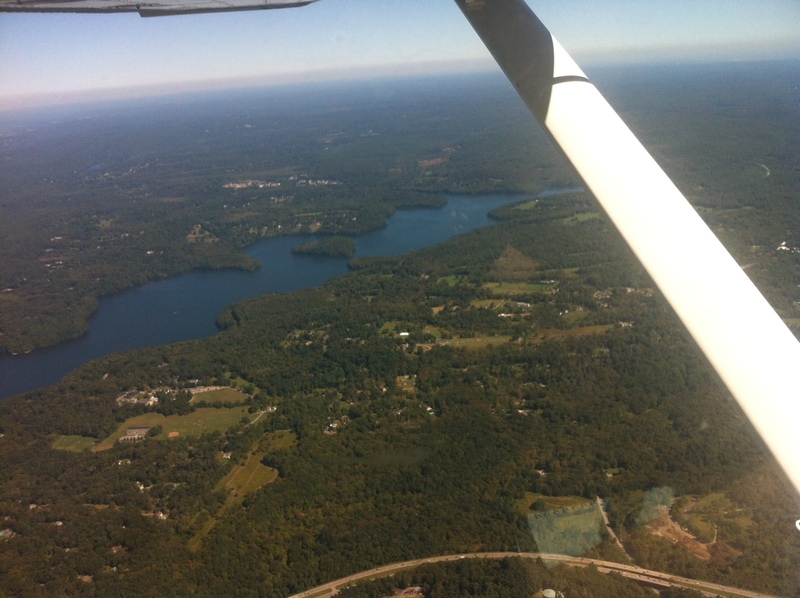 My CFI told me how I should always be aware of places to land, especially if the best one may be one I just passed. Also, just drilling into me I should always be talking during my check ride saying what I am doing. We got to the practice area, did slow flight, which I haven’t done in over a month. I’m getting much better about keeping the stall horn sounding during slow flight. My last instructor didn’t like it to sound. I recovered and went into a power off stall. It went fine. My instructor had me set up for it better so it was more real. He made sure I was slow and then put the nose down like I was descending for landing and then pull up to stall instead of just straight into pulling up. It made it feel more than just a maneuver to be learned. I knew that from the start, but doing that just made it stick better. We did two steep turns and then headed back and he pointed out more visual references to me on the way back just so I knew a few different ways to tell where the Charlie Airspace ends and good ways to tell how to line up with Runway 1 from base. My landing wasn’t bad. It was nice and soft, but a bit off the center line, but I saved it from not being straight down the runway which was more important than being on the center line. He got out and I took off by myself. I had to check with ground again to make sure they got my right downwind request (I was not going to be “yelled” at again by Tower). I climbed super fast and halfway down the field I broke off to the south. It was nice to be flying by myself again and not being in the pattern for the first time! I made it out there (and took some pictures!) and did 4 steep turns by myself. They weren’t perfect, but I felt comfortable doing them alone. I went alone the coastline a bit and then headed back. Another pretty good landing, more on the center line, but not as soft but it’s not hard either! Next time going out to the north practice area building that time to solo cross country, I’m hoping for next week! We’ll see! This weekend I’ll be firming up my knowledge on the parts of the written I’m not as strong on. 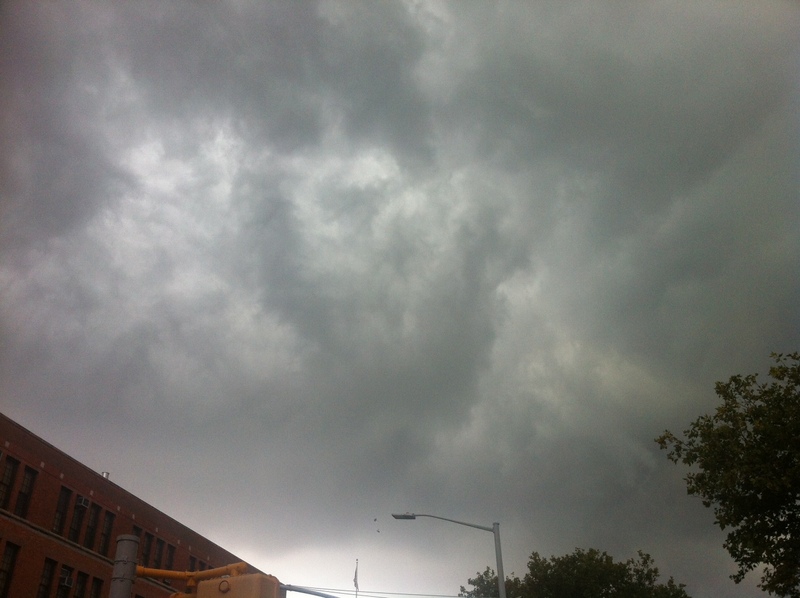 Minutes before a downpour of rain. I wouldn’t want to fly in that. Today’s lesson was cancelled due to low ceilings and general bad weather. It feels now I won’t get that solo to the practice area done so I can move onto solo cross countries! Very frustrating. I only get one more chance to fly this week on Friday due to being in technical rehearsal for the show I’m working on. It also very much limits my study time, so I took today to try to finish going through my Gleim book again hoping to move onto full practice tests and the real test shortly. Jake and I worked on Saturday through some of his PowerPoints. I’ve decided he’s kind of a boring teacher sometimes. He just talks too much, but I guess that’s good because then he makes sure I get all the information. He really wants me to work harder on my knowledge part because he feels my flying is going well and I’ve almost met the new learning requirements, it’s just getting the hours. He thinks I can actually get my license, which is a new thing. Not that he didn’t believe in me, but he’s just annoyingly realistic. That makes me want to work harder too hearing that. I’m definitely getting ready for a big push study and flying wise the next few weeks to see what I can accomplish. I hope it’s a lot!